With this function you can race yourself and try beating your previous time or other parameters to get better. Start by tapping the Further options button and selecting Race. This will take you to the available recorded routes. Choose an activity to race. 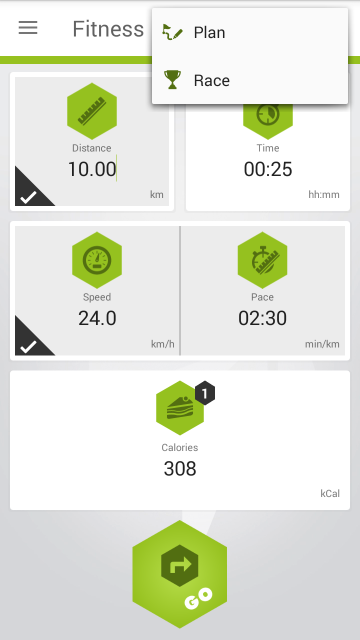 On the activity’s screen, tap Further options again, and select the Race option for a second time. 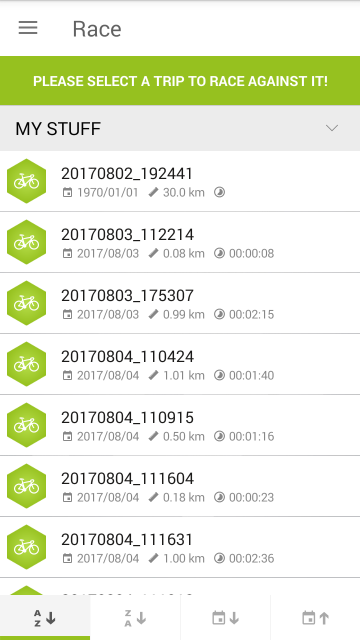 If you have already raced a recorded route, you will see a Cup icon at the top right of the Profile icon (this shows the bike profile you recorded the route with. 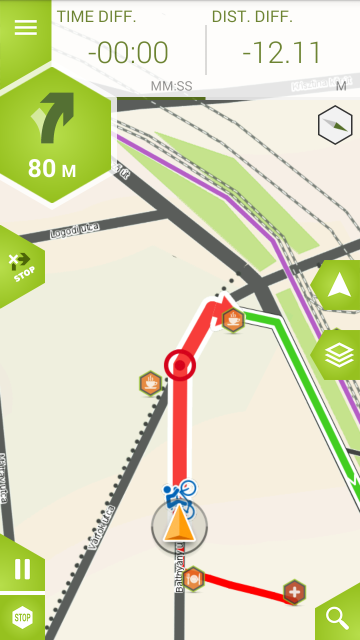 Before the race starts, the app will show you the route on the map – tap ‘Go‘ and follow the same route as last time. When you set off, a small bicycle pictogram will appear on the route and either lead you or follow you along the way. This, of course, depends on your speed, as the pictogram is your previous best time (also referred to as ‘Ghost‘). 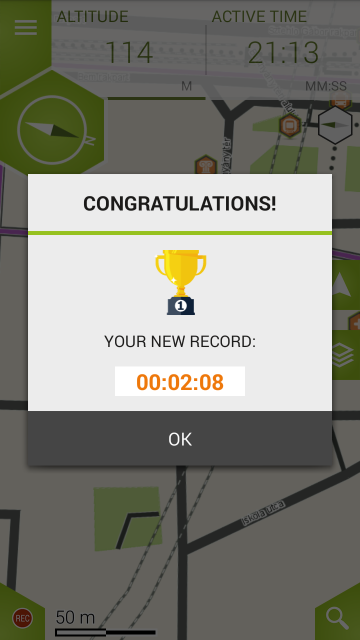 If you manage to beat your best time, the app will show you a popup with a cup and your time. If you did not set a record, you will see the amount of calories burned and the icon of a preset food type (the one with the calories closest to your result). 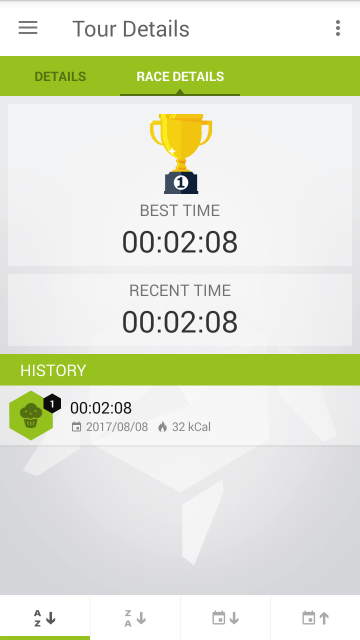 You can clear your race history by opening the previously raced route through Fitness/Race, tapping the Further options button and selecting Clear history.